At Bayshore, we are committed to providing you with an exceptional shopping experience. 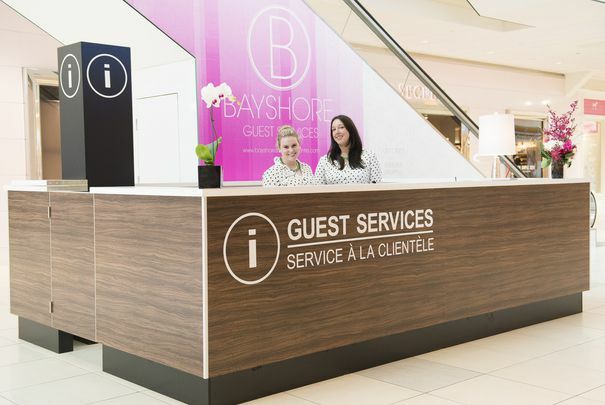 For assistance, visit the Guest Services kiosk during regular centre hours on the first level by Victoria’s Secret or give us a call at (613) 829-7491. Our knowledgeable staff is proud to offer many complimentary and fee services to make your shopping experience memorable.